If you look back on your high school days, hopefully you look back with fond memories of homecoming. For ages, high schools and colleges celebrated their football team’s return to a great season with parades and a great deal of school pride. If you, or someone in your family is new to high school, they’ll be experiencing their first ever round of homecoming festivities. It’s one of the most exciting weeks of the year, and it’s a great way to support your school. Get ready for activities during the week, the Friday night football game, homecoming royalty, and of course, the dance. 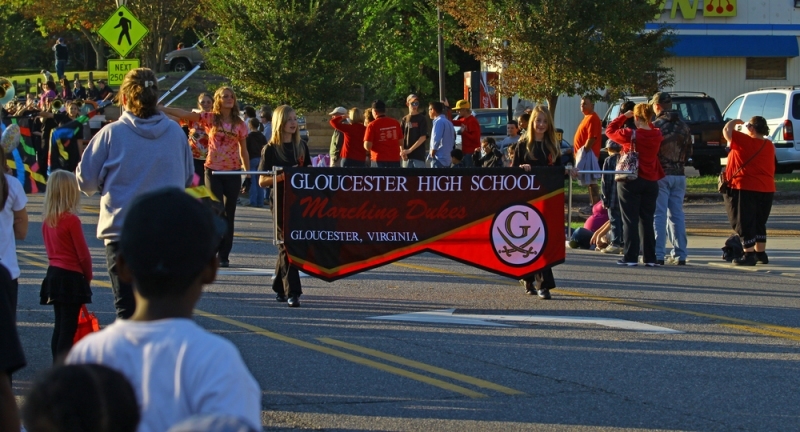 Every school celebrates homecoming a little differently, but most make it an exciting week-long event. You’ll often find a list of spirit days and after-school activities specific to your school and even your town. Parades, concerts, and 5Ks are just some of the various things you can get involved in. If you’re interested in planning any of these events, chances are there’s a homecoming committee looking for eager worker bees like you. Remember, your high school career is actually rather short, so get involved with as many things as you can. These are the funny costumes and memories that you’ll remember for years to come. While homecoming may seem like just a fun week of activities ending in a fancy dance, there’s a lot of history behind the tradition dating back to the early 1900s. It started out with colleges celebrating their first home football game of the season by inviting alumni back to cheer on their alma mater. High schools also adopted the tradition, just without as many beers at the tailgates. However, the homecoming game is a vital part of the celebration. Join in with the student section and cheer along with your classmates for a big win. And don’t worry, if you don’t understand the sport, there will be plenty of people around to help explain to you. Another exciting tradition of homecoming is the homecoming court. Remember all those 1980s rom-coms where the protagonist wins homecoming queen at the end of the movie and everyone’s so happy and excited? Well, high school homecoming court is actually pretty similar. The school votes on members from each class to represent them as homecoming princes and princesses and eventually the homecoming king and queen. Some schools even go all out with a throne rental and fancy crowns. Homecoming royalty is another way to celebrate current students of the school. They’re either announced at the homecoming game or at the dance the next night. Once you get through all of the weekly activities, homecoming ends with a big party. Most schools across the country finish homecoming week with the dance, which is a must-attend event almost on par with prom. For some students, having only two chances a year to dress up and dance the night away doesn’t seem like enough. So be sure to make the most out of your experience. While homecoming dances are not as fancy as prom, there are still great ways to look and feel your best for the dance. Remember this is a fun night for you and your friends, or potentially a great date for you and a significant other. Don’t put too much pressure on the evening, and find ways for you to feel comfortable. Picking out your first homecoming dress can feel exciting and slightly nerve-wracking, so when looking for formal dresses, try to go early so they don’t run out. And remember to pick something comfortable, since after all, you want to dance and have fun. Enjoy your time letting loose with friends and getting down to some of the latest hits. The homecoming dance is a perfect way to close out a great week celebrating your high school.